Mrs. Susan Marie Boyette, age 77, of Lake Butler, Florida, passed away on November 19, 2018, with her family by her side. She was born on September 10, 1941, in Brooklyn, New York, to the late Gilbert and Elizabeth Petty Barnard. She married her high school sweetheart, Derrill Boyette, and they raised a family in Homestead, FL where she worked as a teacher's aide at Redland Elementary School. In 1981, they moved to Live Oak, FL. Eight years later, they settled in Lake Butler, FL, where she worked for thE Union County, in their collection center department. She took pride in her work. She always had a clean and neat collection site. 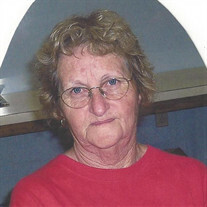 She loved meeting people and was a member of Sardis Baptist Church in Worthington Springs, FL. She was preceded in death by both parents; her son, Derrill B. Boyette, Jr.; and her brother, James F. Barnard. Mrs. Boyette is survived by her husband of 57 years, Derrill Boyette of Lake Butler, FL; children, Dale (Mosley) Boyette of Middleburg, FL, Felicia (Danny) Herring, Annette (Trey) Chauncey, and Dana (Tony) Abbott all of Live Oak, FL, Constance Boyette, Preston (Lori) Boyette and Cathy (Hoss) Taylor all of Lake Butler, FL; Destiny Boyette of Lake Butler, FL; 19 grandchildren and 18 great grandchildren; two sisters, Kathleen Diver of Taylor, S.C. and Betsy ElKoury of Marathon, FL. Numerous extended family members also survive. The family would like to give a very special "Thank You" to Ms. Vonda from Community Hospice.